Due to the ‘Misuse of Drugs Safe Custody Regulations’, pharmaceutical companies are required to store all schedule 2 drugs within a cabinet or safe that is locked with a key. The cabinet should be made of metal and fixed to the wall or floor. A well-known pharmaceutical company required ambient temperature monitoring for their control drug storage safe. The challenge for them was to find a company that could successfully transmit critical temperature data wirelessly from inside a steel and concrete safe that is only one and a half feet thick (containing their valuable drugs). Data needed to transmit to their local PC/network for immediate alerts of temperature breach while continuously maintaining historical records of the internal environments. 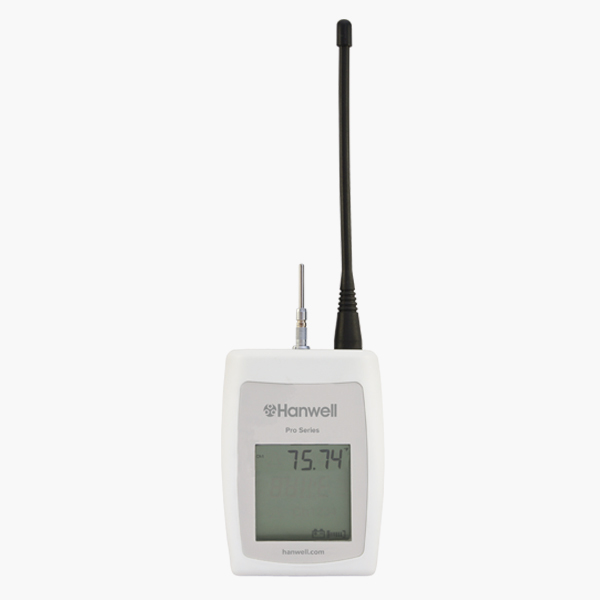 The Hanwell Pro monitoring system is well established as being the most reliable radio system on the market with the ability to reach over 3.5km over open ground, so we were keen to show how the strength of the Hanwell radio range could meet the unique wireless requirements set out for us here for a temperature controlled medicine storage solution. Products used: 1 x RL4001-434.075, 1 x Y300, 1 x Y119 (single-point monitoring) or 1 x RL4002-434.075, 1 x J095, 1 x Y119 (two-point monitoring). As expected, the Hanwell Pro radio range didn’t let us or our customer down. The radio strength powered through the one and a half feet thick steel and concrete obstruction to their local PC/Network providing them with real-time temperature data and alerts easily accessible 24/7.